Having seasonal-themed worksheets and learning activities on hand just seems to make learning more fun. So while these fraction worksheets could just include circles, the added touch of putting them in apples makes it a little more interesting for kids. 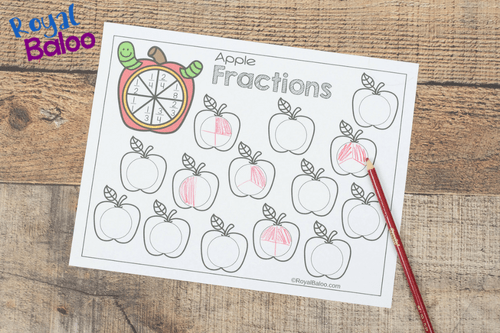 Download and print the apple fractions worksheets from Royal Baloo to practice basic fractions. Kids can color each type of fraction a different color, or use a spinner altered with fractions to decide which fractions to draw out on the blank sheet. This is an easy way to review fractions that’s a little more fun than a basic worksheet.